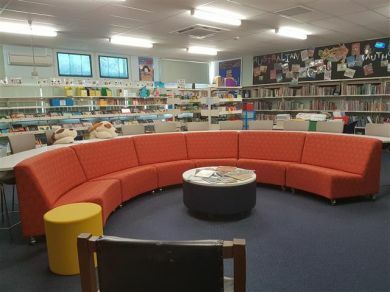 South Downs Primary School is located on the corners of Dockett and Mavros Roads, Elizabeth Downs and is approximately 2.5 kilometres north, from the Elizabeth Shopping Centre. The school was built in 1966 and unofficially opened it’s doors to students in October of that year. The school was officially opened in November 1967. Please follow this link to access our School Context/Profile Statement. All the school buildings are air conditioned and carpeted. 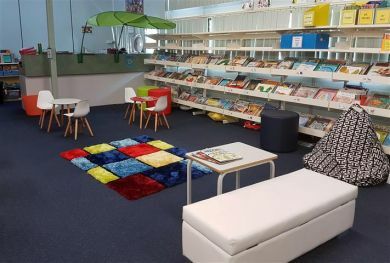 Specialised facilities are basic, however, the school does have a computer suite, new gymnasium and well kept hard and green play areas. The administration building faces Dockett Road along with the Staffroom, SSO work area, the Principal, and School Counsellor office are housed in the Administration area. We provide a safe, caring environment, challenging each individual's potential through explicit teaching. We exist to promote and develop appropriate community attitudes and values which enable students to achieve their personal best. The expectation is that students respect others and their school and academic achievement is acknowledged and celebrated. The Foundation of Success; Confidence – Getting Along – Organisation – Persistence and Resilience are consistently embedded through the School Values, Anti-Bullying Policy and the Programme Achieve programme. The school has a rich tradition that encourages students to participate in teams and organisations which exist in the local community. Achievements can be seen in consistently high standards of achievement in SAPSASA Carnivals. Student behaviour is managed through a well-established set of procedures and consequences. Parents are welcomed into the school environment and participation is encouraged in the following ways. New children can start school after their fifth birthday. A transition programme is in place to ensure children move smoothly from Early Childhood Centres to Primary school. For general enrolment enquiries please contact the school on 8255 6380.